I have had the fortune of associating with Shankar from our NDA days from 1979 onward. Being course-mates at the NDA and IMA and commissioned to the Regiment of Artillery in 1982, our Army careers ran nearly parallel. But unlike parallel lines, we met often, especially undergoing army training courses at the Mecca of Gunners – School of Artillery, Devlali, Maharashtra. We also enjoyed our Army Headquarters, Delhi, tenure at the turn of the millennia – Shankar with the Military Operations (MO) Directorate and I with the Military Intelligence (MI) Directorate. We did the Young Officers’ course at the beginning of our officer life, Introductory Surveillance and Target Acquisition Course, Long Gunnery Staff Course (LGSC) and Automated Data Processing [ADP] (Computer) Course at Devlali. It was a great association through all these courses as we shared one table – obviously the one at the last row – reserved by God especially for the intellectuals who were least interested in the grades we got, but only interested in real learning. Our main pass time during the courses was smoking (in those days smoking was permitted during lectures), but we listened attentively to the lectures. We both were very much liked by some of our instructors – only those who smoked – as our last bench seats facilitated them to pinch a cigarette off us. We did oblige our smoker course officers too, even though some took advantage of our magnanimity. When we came to Devlali for LGSC in August 1989, Shankar was a bachelor and I was married. My wife Marina was doing her final year of Pharmacy graduation at Gulburga. She used to come to Devlali during weekends when she could manage off for a day or two. It was a monthly ritual and I did not attend classes whenever Marina joined me. It was my dutiful friend Shankar who ‘managed’ my absence in those days. After Marina graduated in April 1990, she conceived our daughter Nidhi. Her monthly appointment with the gynaecologist was on Saturdays and whenever I could not spare myself due to training commitments, it was Shankar who took Marina on his scooter to the Military Hospital. He was always a bit scared to carry pregnant Marina on the pillion of his scooter and that must have been the only time he would have observed speed-limits in Devlali. As LGSC was coming to a close, Shankar got engaged to Rohini. Brave and thoughtful of Rohini, she accompanied by her little younger brother Rajesh to visit Shankar at Devlali on a weekend, to familiarise with the military environment and culture. For sure, Saturday’s dinner was scheduled at our home. Rohini , Rajesh and Shankar reached our home by dot 7 PM. After customary introductions, I asked Rohini to take a tour of our home and make a note of all the appliances and other accessories, which she dutifully did. Now I said to her that when she gets married to Shankar, she got to get these from her home as it is the minimum standard to be maintained by an army officer. Rajesh exclaimed that it would not be possible for his poor Appa to procure all these before the wedding. Marina ‘briefed’ Rohini about the ‘training’ she had to undergo on becoming an army officer’s wife. To make the ‘story’ palatable. Marina showed some photographs of her when we were at the Indo-Pak border in Kashmir prior to LGSC. By midnight after dinner we broke off. On Sunday morning they were invited to another friend’s home for breakfast. Our friend on seeing the gloomy faces of Rohini and Rajesh asked Rohini as to where they went last evening. On hearing her reply he knew what would have happened. He came running to our home and took Marina and I to his home. Now we told Rohini that it was a ‘prank’ being played on her. All this while, Shankar, my true friend remained silent (he must have enjoyed the fun at Rohini’s expense). A week before the end of LGSC, we had to travel to Pune to write the computer aptitude test. We had no clue as to what it was all about and so travelled merrily to Pune – all to enjoy three days of absence from the course. Many other officers were also there and all of them barring two of us were all serious about the test. The test was for three hours and it was all about logic, analysis and intelligence tests. Who can beat the last-bench intellectuals in such a test – we were the only two who qualified in the test. This resulted in us rejoining at Devlali for the ADP Course in January 1990. That was when the wedding of Rohini and Shankar was – before the commencement of ADP Course. I took two weeks leave prior to the course to attend their wedding at Vashi, Mumbai. After that it was a journey together as a family, especially at Delhi. Marina migrated to Canada in February 2002 and I was posted out forthwith to command 125 SATA Regiment as the Indian Army was mobilised to the Western Sector in the aftermath of militant attack on Indian Parliament in December 2001. Our son Nikhil was despatched to my parents in Kerala and Nidhi had to write her final examination of Grade 5 in April. For sure, without winking an eyelid, we left her in the loving care of Rohini and Shankar. We are all very indebted to the family for this great gesture. When I released my book ‘Suit, Boot & Tie’ in March 2017, I had invited Rohini and Shankar to grace the occasion. As Shankar had some important military commitment, he could not attend. Rohini travelled all the way from Mumbai to Bangalore to grace the occasion. We reminisced a lot about our life together throughout the two days. Thank you Rohini for this great gesture. 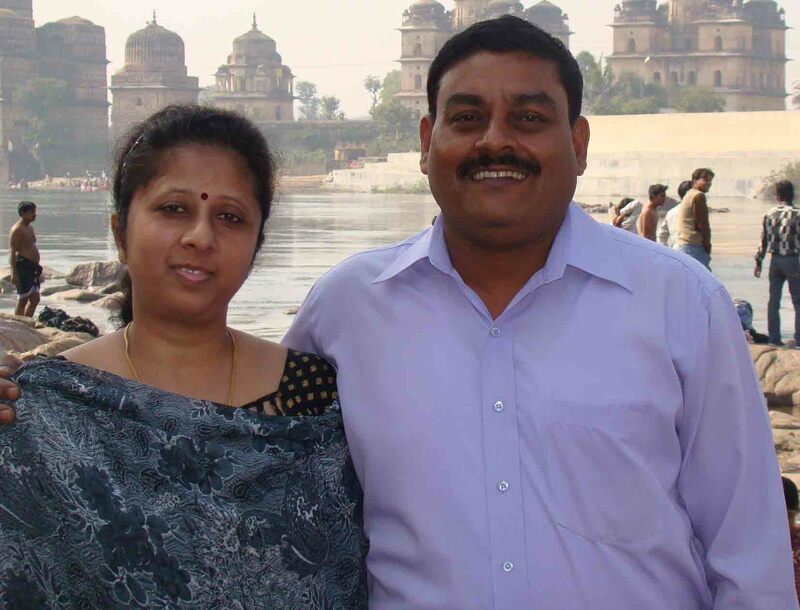 God has been magnanimous with Rohini and Shankar as they have been blessed with Roshan and Nisha – two extremely intelligent, smart and humane kids – who will surely carry on ahead – much ahead of what Rohini and Shankar have achieved. Today, Shankar is hanging up his boots – after 36 years of dedicated service to the Indian Army. I wish him all the best in his second innings. I also need to acknowledge just how much I have been shaped by Shankar. I have a myriad of experiences, too many to mention, that have impacted me in a memorable and meaningful way. What I have written is barely scratches on the surface of all that I have learned from Shankar over the years. We, the Koduvath family, are extremely grateful for the role that Shankar and his family have played throughout our happy years and these years that we will always cherish fondly. Great friends. Have been with them on most of the courses. Wishing GM a very enriched and exciting time post retirement. Lovely reading. Shanker our coursemate from my squadron is really worth the appreciation you have expressed. Very good tribute to a coursemate. Best Wishes to Brig Shankar, Rohini, Roshan and Nisha. Sir, I totally share your views on Brig Shankar . He was my instructor in ADP course. In 2008 , took charge from him at Bangalore. Wishing him all the best on his retirement. Nicely brought out a typical bond with a ‘special few’ that we form during our training and service! Took me back to those days! Best wishes to Shankar and family! Very well written Reji. Shankar is a very dear friend of mine. Great friendship. What a lovely piece of writing about friends .I know you both as great persons .Shanker was in our NDA class 61/3 a brilliant mind like you .Most important of all is the humility you both have as true human beings . Keep it up Reji . A very nicely written piece straight from the heart. 😊. Shankar is a great human being – simple and down to earth, and his brother was with me in Congo. Another great guy. Lovely reading. ‘Geiger Muller’ is a great chap, we did same Staff Course. Wishing him well in his second innings.